Unfortunately, at this time of year, it can be a challenge to preserve and maintain the heat in your home. As the cold weather sets in for winter, you may realise that your windows are not operating as effectively as they should. If you are concerned about the performance of your windows, here are some indications to look out for. Take a read of our guide for 5 signs you need new windows. The main culprits for causing draught in your home are your windows and doors. If either of these are not fitted correctly, damaged or worn out from years of use, then it is likely they’ll be letting in large amounts of cold air. Although both windows and doors can contribute to an increase in cold air in your home, doors are often more resistant to the development of draughts than windows are. Therefore, it’s crucial that your windows are not only insulated with double glazing Milton Keynes but that they’re also in safe working order before they begin to affect your energy bills. So if you are not sure whether or not your windows need replacing – then not to worry. We’ve devised a list of the signs that can indicate that you should purchase new windows. So if you want to know more, then keep reading. This is the most obvious indication that you will require new windows. If your property is fitted with wooden window frames and they are regularly exposed to high levels of moisture, then they are much more likely to decay quicker. It is worth having your timber frames fitted with a more modern alternative, such as uPVC, which boasts high thermal insulation and durability qualities. They are also far less expensive to install and then maintain. If your windows are leaking, then this will be due to poor insulation or failed sealing. If you are on a budget, then repairing the failed sealing is an option, but it will only be fixing the problem on a temporary basis. The most effective way to ensure your windows no longer leak is to replace them altogether. Not only is your window’s broken lock mechanism a safety breach but it could also be costing you money. It’s essential that the windows of your home are locked to prevent easy access to intruders and burglars. Moreover, the majority of locking mechanisms in windows have a built-in device that when locked works with your windows the keep cold air out. By not locking your windows, you are not only putting yourself, home and family in danger, but also allowing cold air to enter your property. This will be contributing to the presence of draughts in your home. If you want to test whether your windows are causing draughts, then there is a way to test it. Light a candle and slowly move it around the edges of your window. If the flame flickers or if the smoke produced by your candle is blown in the opposite direction then your windows are letting in draughts. If, when you wake up in the morning, your whole room is particularly cold, then there could be something wrong with the thermal performance of your windows. If your windows are not efficient then you will be able to feel it. Even if you have the heating on, the lack of insulation from your windows can overpower your heating systems and cool down your entire room; this wastes a lot of money on your energy bills. There is nothing wrong with giving your windows extra insulation with window insulation film or rubber weather sealant. But when you have to do it every year it is not only time consuming, but costs extra money and doesn’t work as well as double glazing. Hair drying window insulation film is a long and irritating process that can leave bubbles on your windows and make the transparency of your windows appear clouded. You can use these effective insulation methods on newly fitted windows for extra insulation. But if you’re applying these to single glazed windows in an attempt to better their insulation properties, it is simply a better option to have new windows installed to your home. Investing in new windows in Milton Keynes will only save you money in the long run. If you regularly inspect your energy bills and have noticed an unexpected spike in the amount of energy you’re using, then this is an indication your home is requiring more heating to maintain a comfortable temperature. When your windows are not insulating your home correctly, dependant on the severity and age of your windows, then it can make a massive difference to your energy bills. Even if your bills have only increased slightly, the accumulation of these higher energy bills month after month may turn out to cost you more in the long run than simply replacing your windows. If you notice in the mornings that your windows are foggy and cold to the touch, then this is also a sign that something could be wrong. Misted and cold windows are an obvious indication that your windows are not performing effectively. It shows that your windows are not functioning as an adequate barrier from the cold outside; the cold air is condensing on your windows. During the winter, when the air outside is much cooler than the air inside, the windows become cooler too. When the air inside comes into contact with the windows, it cools down and leaves moisture on the window panes in the form of condensation or fog. To overcome this issue, installing double glazing is considered the most effective method of eliminating fog. The inside pane of double glazed windows will not conduct as much heat, preventing it from getting as cold. 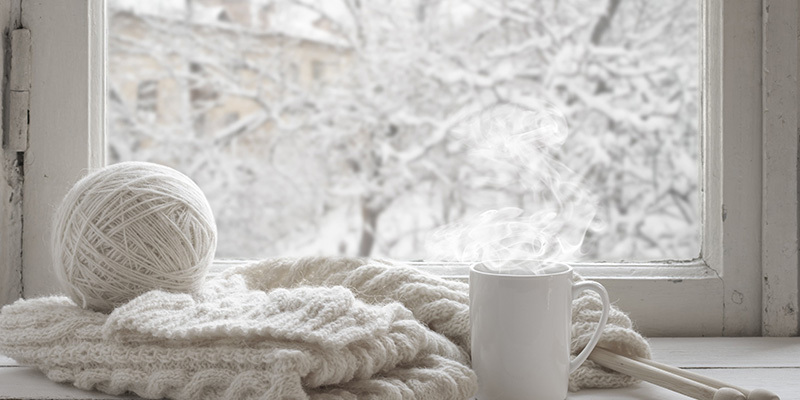 Waking up to a freezing cold home is one of the worst things to have to deal with during the winter months. If you have identified any of the issues we have suggested above, then we highly recommend having your windows replaced before the problems are accentuated. If you are looking for a reliable installer of windows and double glazing in Milton Keynes, then get in touch with us today.